Likes- Hacking out, fairy wings, children, and being with friends. Dislikes- flying footballs, and the dentist. Mini was given to use with another pony Merlin, he had been used as a companion pony, and was very unfit, and extremely fat. He was very strong and often pulled, he could not be ridden off the lead rope. 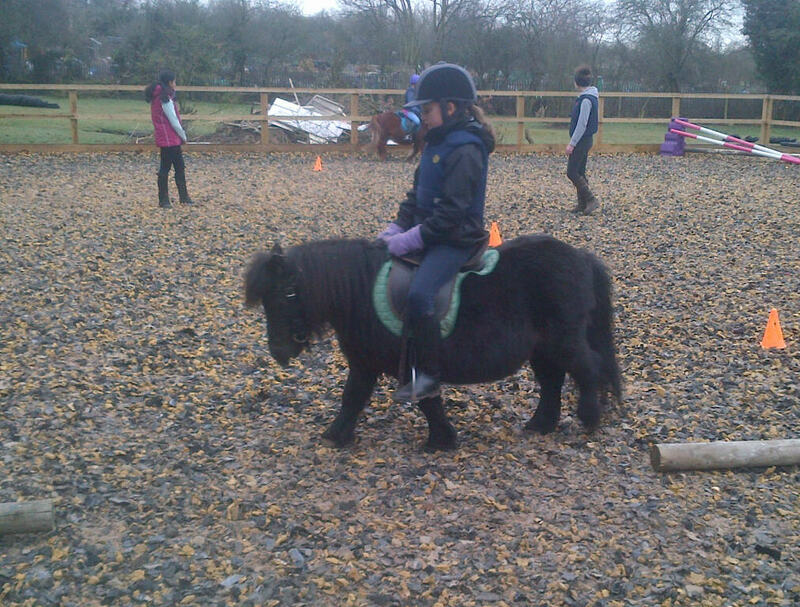 Mini is being ridden by a few young children and is extremely responsible with them, and is is a complete school master. He has pulled his cart once, and was very good. He is a little overweight, but is very fit. We hope that Mini will learn to pull his cart, and eventually have someone in it. His older riders hope to be starting to take him to shows, and competing at a very basic level on him (mainly in lead reign classes). We also hope to be able to take him into schools to educate young children about ponies as he is very friendly, and enjoys showing off! Hi I’m Mini. I’m a black 13 year old miniature Shetland. My best friend is Freddy. My show colours are supposed to be red and black but I secretly like pink (especially fairy wings). I am very handsome and love baths in the summer when it’s hot, but don’t like them very much in the winter. I also enjoy walks, but get bored of going to the same places all the time or always doing schooling. I love to jump and am very good at it! I am very friendly to everyone but I especially like Mona very much and want her to be my girlfriend! 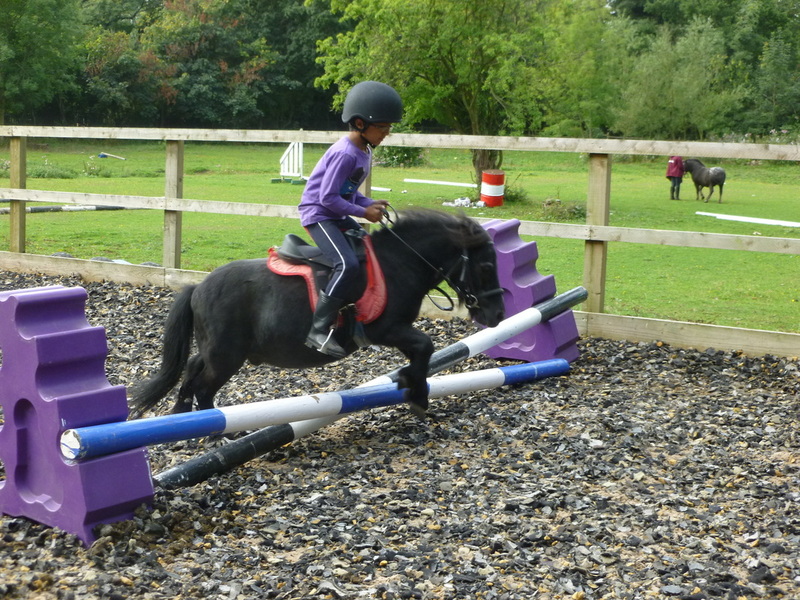 Mini is working well as a beginner pony and is working well at walk and trot. His canter still has a way to go though. He loves jumping too. He is unable to work towards pulling a cart at the moment as his harness was stolen in our tack theft but when he has a harness he should be back on track with his driving training. As Mini gets older he is taking life easier! He is still doing lessons in walk and trot and taking part in fundraising visits.